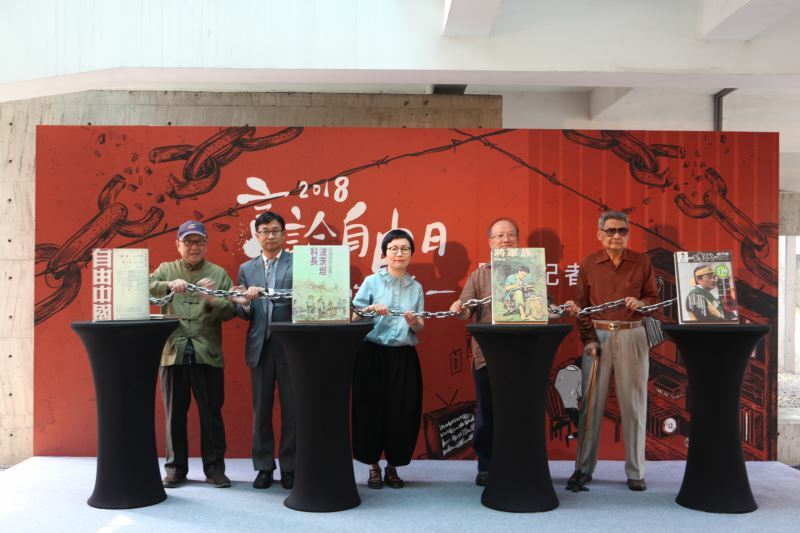 The 2018 Freedom of Speech Day special exhibition will be held at the Jing-Mei White Terror Memorial Park from April 2 through Dec. 16 to serve as a reminder of how fear and oppression permeated everyday life under martial law. 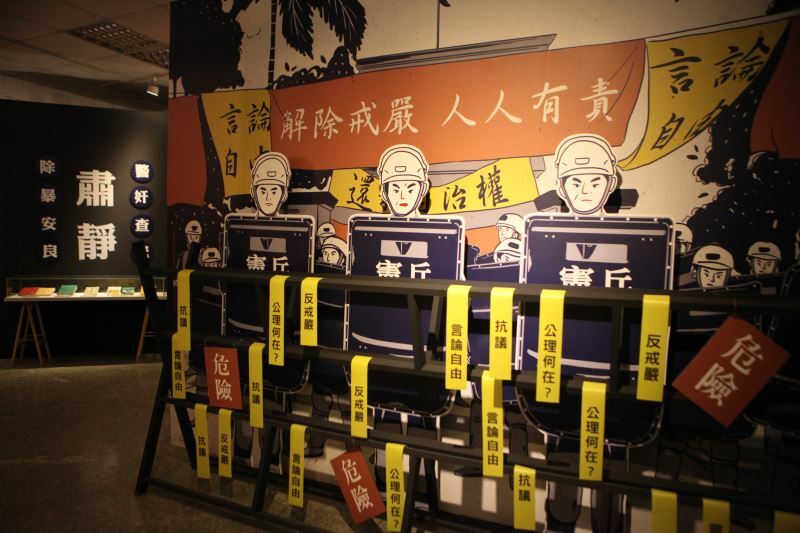 Through audio, video, animation, and interactive installations, the exhibition aims to recreate the oppressive atmosphere of authoritarian rule by examining how the ghosts of martial law have impacted each Taiwanese generation while highlighting the challenges and meaning around freedom of speech in the present day. National Human Rights Museum Director Chen Chun-hung (陳俊宏) noted that Article 19 of the Universal Declaration of Human Rights makes clear the importance of freedom of expression as a fundamental human right, and that the Republic of China was one of the states that participated in the drafting of the declaration in 1948. However, with the government's declaration of martial law in 1949, Taiwan entered a long 38-year period of authoritarian rule that had an enormous impact on the everyday lives of its citizens. Martial law saw the imposition of a nationwide mechanism for systematic and inclusive control over Taiwanese society. 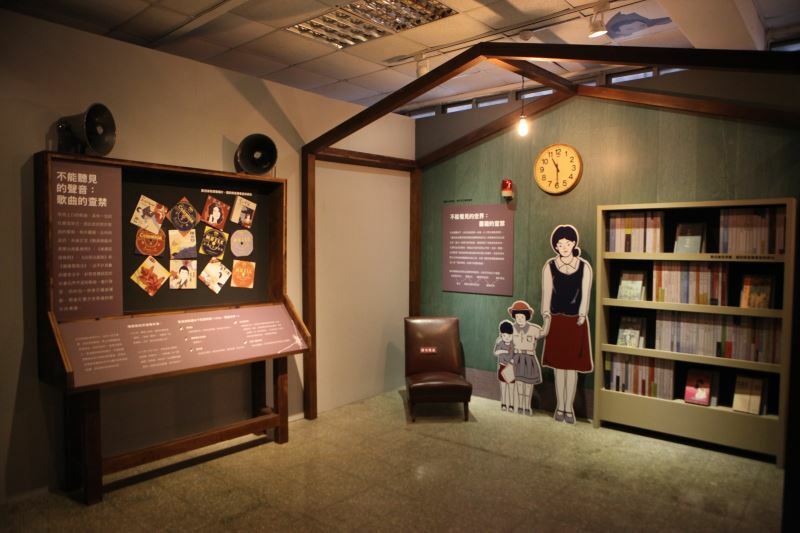 Books and songs were banned, and strict regulations profoundly impacted Taiwan's cultural industries. Comic books, for example, were subject to stringent reviews. As a result, the cultural industries entered an extended period of stagnation. This exhibition will take on the perspective of ordinary people, from how systematic national surveillance and control seeped into every aspect of life, right down to the psychological level that left a lasting white scar on society. Opening ahead of Taiwan's Freedom of Speech Day on April 7, the exhibition seeks not only to pay tribute to free speech martyr Nylon Deng (鄭南榕), but also to invite students from around the country to visit the National Human Rights Museum and the exhibition to better understand the "days of silence" that made up the martial law era. The museum hopes that visiting students will be inspired to reflect on the freedom of speech now enjoyed by Taiwan. Through experiencing how freedom was stifled under martial law, it is hoped that these young people will become fearless defenders of universal human rights and democracy. Freedom of speech in Taiwan is the result of the hard work and sacrifices of many past political victims and social activists. In 1989, Deng looked at the scales of justice, and chose to place freedom of speech on one side, and his own life on the other. This shows that freedom of speech is so valuable that Taiwan should not lightly give it away or compromise on the issue. Freedom of speech may be considered a fundamental human right, but both at home and abroad, it continues to face new challenges and controversies. While Taiwan may enjoy that freedom now, new generations must remain vigilant and defend their right to speak up. Only through this can Taiwan truly grow as a democracy. 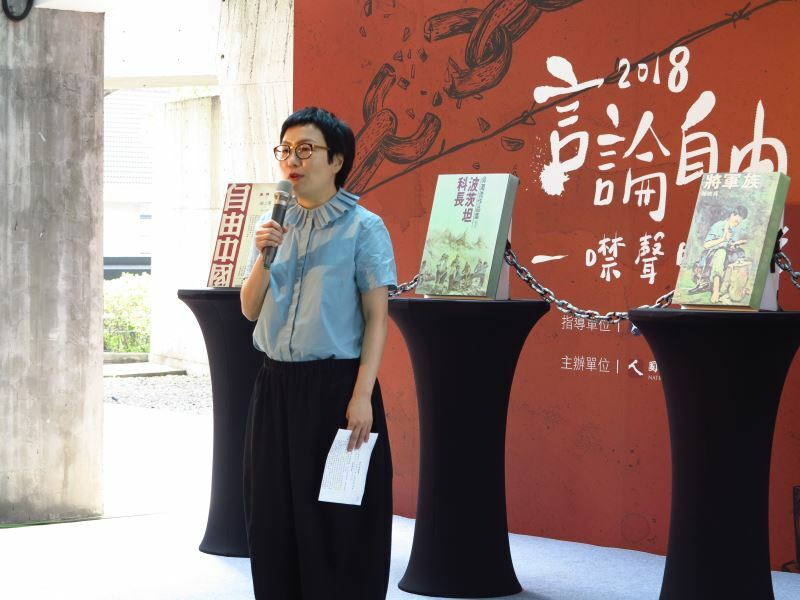 Shi Wen-chieh (石文傑), a well-known collector of once-banned books, donated his collection that was accumulated over decades to the National Human Rights Museum in 2017. His collection, along with a special selection of iconic flyers and other banned materials, will also be put on display. A series of forums and screenings will also accompany the exhibition. The first of these will be a May screening of the film "Self-Censorship" at the Jing-Mei White Terror Memorial Park, followed by a talk from director Kevin H.J. Lee (李惠仁). Visitors Today:156. All Time Visitors:1,229,963.